Was Paul confused, double minded -- or did he know something that most Christians today do not know? 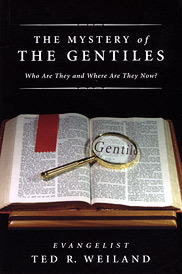 The Mystery of the Gentiles challenges conventional thinking concerning the identity of the principals in the Bible and the nations of the world today. Those who are unafraid to go where biblical truth may lead them are in for an eye-opening adventure. In Acts 26 the Apostle Paul asked King Agrippa "Believest thou the prophets?" In the Mystery of the Gentiles the same question will be asked of you -- and if your answer is "yes" you will embark upon an exciting journey toward the undeniable conclusion to a mystery that could forever impact your life. Capital Punishment: Deterrent or Catalyst?